Story: Annie is a maid of honour whose life unravels as she leads her best friend, Lillian, and a group of colorful bridesmaids on a wild ride down the road to matrimony. Annie's life is a mess. But when she finds out her lifetime best friend is engaged, she simply must serve as Lillian's maid of honor. Though lovelorn and broke, Annie bluffs her way through the expensive and bizarre rituals. 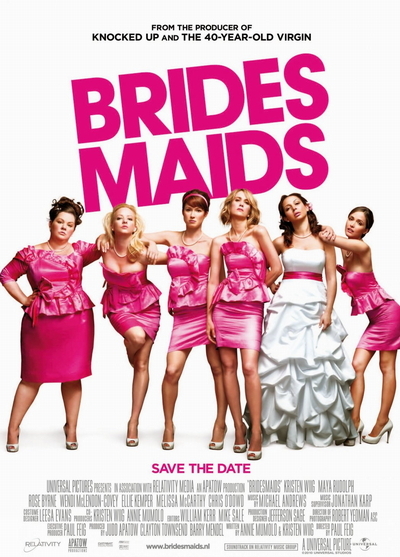 With one chance to get it perfect, she'll show Lillian and her bridesmaids just how far you'll go for someone you love.